In 1850 this corner shop was occupied by a grocer called Henry Hill. He carried on this trade here until, in about 1872, he was involved in developing the infill premises at 12, 13 and 14 Suffolk Parade and henceforth called himself a builder. This later became Henry Hill & Son, builder, until sometime after 1877. Then in 1890 Mr Thomas William Norris opened his Devonshire Dairy here, beginning a trade that was to continue for over 90 years on this site. Thomas was born in Uley in 1837 and moved here from Kingscote, where he had been a farmer. He lived at this address, together with his wife Annie and children Edith, Annie, Bessie, Frederick, Clara and William. In 1889 Thomas Norris had been convicted under the Food & Drugs Act for supplying adulterated milk, which had apparently been diluted with water. In his defence he said that he had obtained the milk in good faith, and at some expense, from another dairyman in Montpellier. Until the police had "raided" his shop he had been unaware of the problem. The magistrate seems to have been partly persuaded by this argument as he only levied a £2 fine, when the maximum penalty available was £20. In 1894 these premises were bought by the Gloucestershire Dairy and Mr Norris relocated just a few doors away to number 12 Suffolk Parade, where his business continued until 1916. 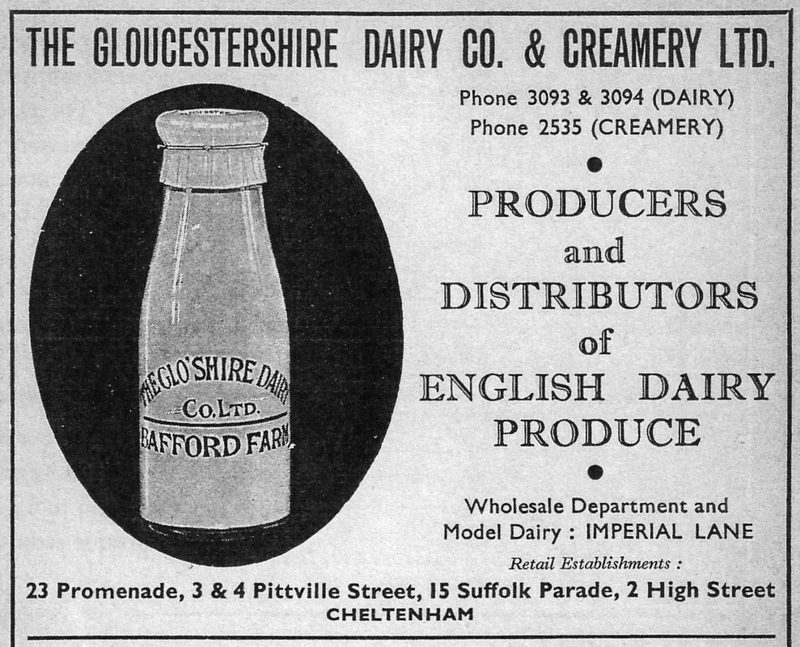 The Gloucestershire Dairy had been established in Clarence Street by Mary Butler in 1879. It eventually had at least 8 shops in Cheltenham, as well as dairy farms in Charlton Kings and Prestbury and other food manufacturing interests. By 1980 the dairy shop had closed and this then became Martin Ellis Jones antiques. After this the shop was for a few years Rose Tree Wines and then changed to Dragonfly, a wedding dress designers. 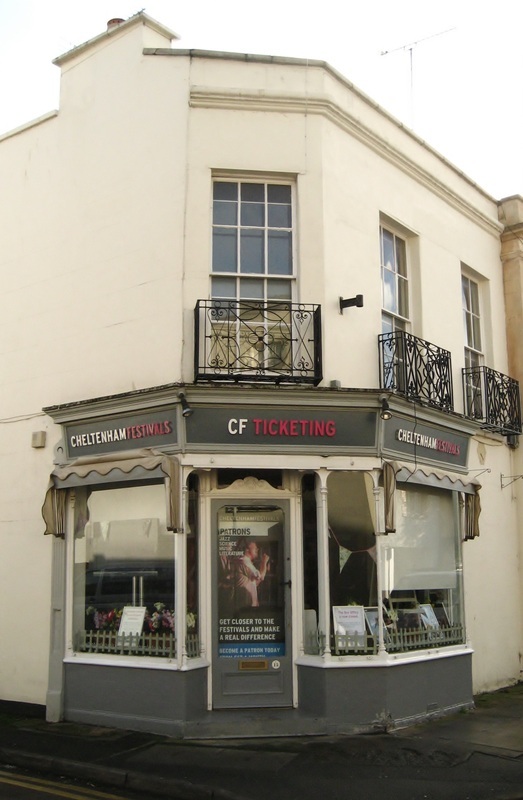 It is now the Cheltenham Festivals booking office. The first Music Festival was held in 1945 followed by a Literature Festival in 1949. These were augmented by the first Jazz Festival in 1996, followed by the Science Festival in 2002.